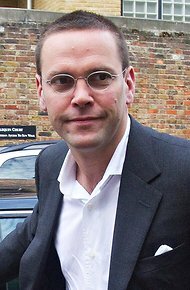 James Murdoch, son of media mogul Rupert Murdoch, is set to appear again Thursday before a committee of the British Parliament to answers about the behavior of Murdoch employees in Britain. The NYTimes has a preview today, along with a couple of sidebars. But the most extensive coverage I have found is in the Guardian, which seems determined to try to topple the entire Murdoch empire.